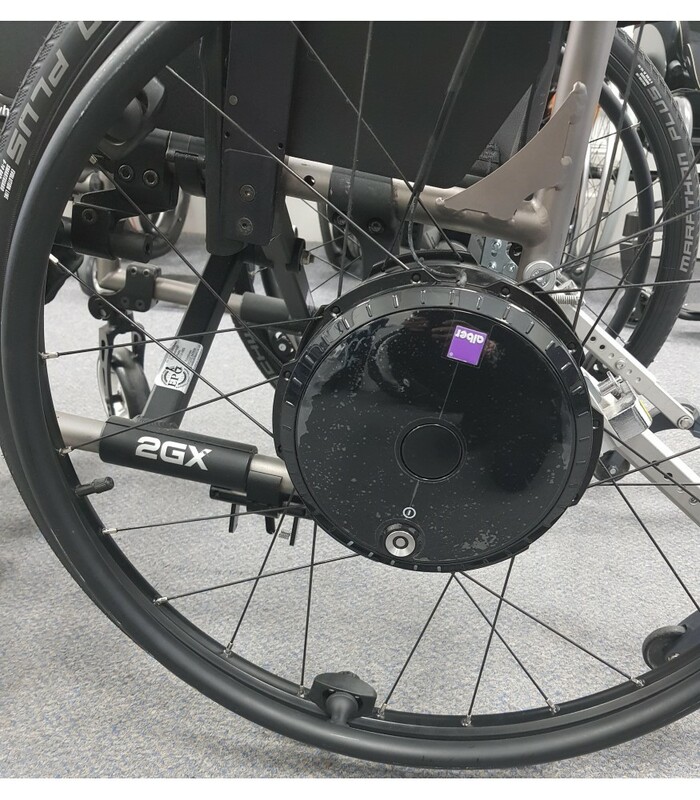 This is an ex - demo Tilite 2gx wheelchair fitted with Alber Twion Power Assistance Wheels sold as seen in full working order. 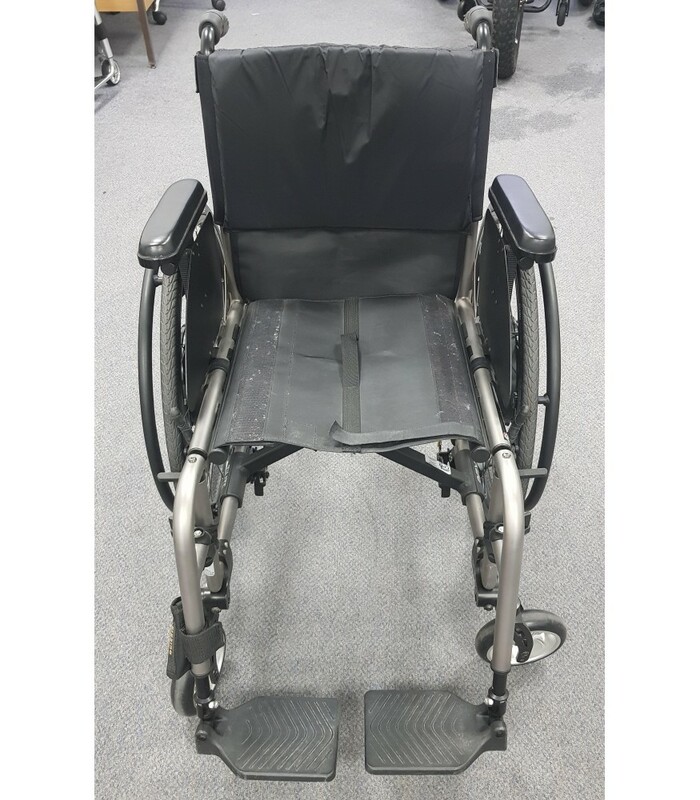 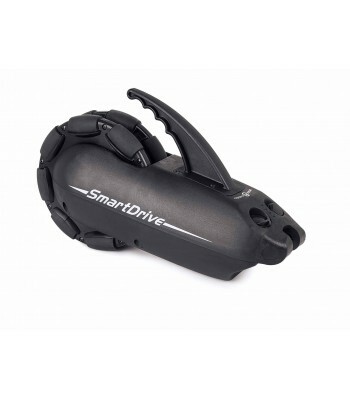 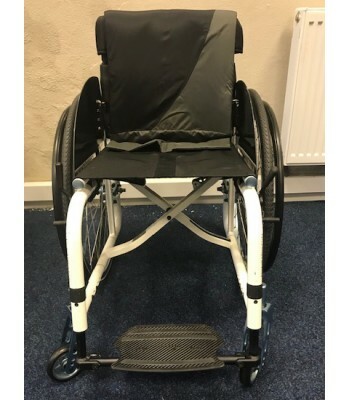 This product has had some showroom use and as such has some minor cosmetic damage to the wheelchair hand rim's, upon point of purchase a full service will be applied to the chair and power assistance wheels. 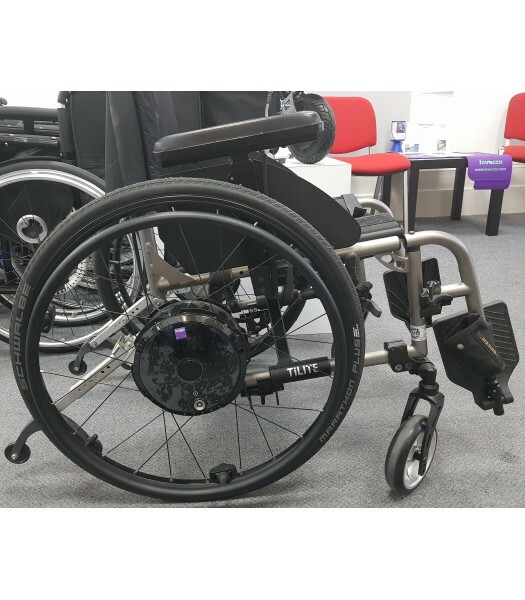 Good match up for those looking for a compact folding chair with the advantages of power assisted travelling. 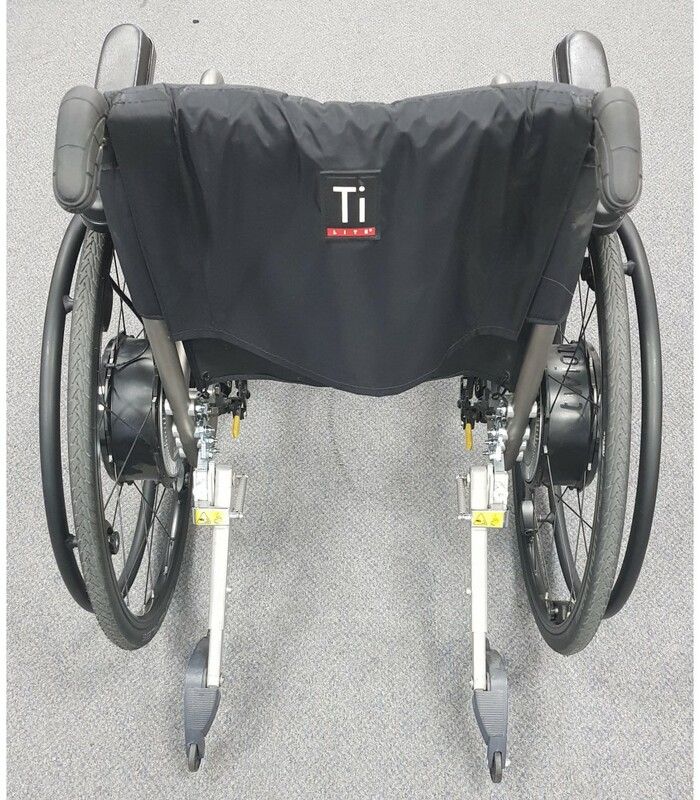 For more information on the individual products please follow the links set below.